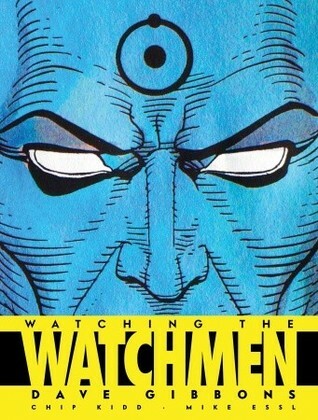 Enjoy the ultimate companion to a comics masterpiece, as award-winning artist Dave Gibbons gives his own account of the genesis of WATCHMENin this dust-jacketed hardback volume, opening his vast personal archives to reveal never-published pages, original character designs, page thumbnails, sketches and much more, including posters, covers and rare portfolio art. Featuring the breathtaking design of Chip Kidd and Mike Essl, WATCHING THE WATCHMEN is both a major art book in its own right, and the definitive companion to the graphic novel that changed an industry. Voted among Time magazine’s 100 Best Novels from 1923 to the present, a perennial bestseller over the past twenty years and widely considered the greatest graphic novel of all time, WATCHMEN is a gripping, labyrinthine piece of comic art, which has earned an acclaimed place in modern literary history. “I’ve had a great time, re-visiting the very beginnings of Watchmen and unearthing material I haven’t set eyes on for many years. As a fan myself, this is the kind of stuff I eat up and I’m sure the many devotees of the graphic novel will do the same!” says Gibbons. (I promise this is one of the last reviews I will be doing on Watchmen related reading material!) But before that happens here’s this review! As many people may know by now, I am a huge fan of anything and everything Watchmen, so when I saw a companion novel written by the guy who illustrated the original series I just had to pick it up from my library. And I’m so glad I did! This whole novel was so thrilling to read and get an inside look at one part of the dynamic duo that really put Watchmen together and put it out there for the world to see. I also loved seeing some of the original illustrations and sketches that Dave Gibbons had done back in the 80’s for Alan Moore before Watchmen really took off running (the original Rorschach costume had me in fits of giggles). Anyway, this seemed to be one part reflective essay paired with one part journey through the entire Watchmen process and I loved it through and through. I may have to buy this one for myself some day when I can convince myself to spend the money on it!